Amidst the continued foreclosure and short sale epidemic in Southwest Florida real estate, there is a bright light of hope and optimism shining from latitude 26.196739, longitude -81.747175. In case your trusty GPS is not within reach, this is the entrance to Marbella Lakes in Naples, Florida. This new home community of 490 single-family and carriage homes has been selling at a brisk pace since opening in February of last year. According to Ryan Johnston, Naples Realtor & GL Homes Sales Associate, “To date we have sold 225 homes, had 140 closings and more people are moving in every day.” Although that is not the frantic pace set in years past by would be investors who slept in line outside the sales trailer the night before the “Grand Opening” just to get a chance to buy something, it is still very impressive. According to Mr. Johnston, “current owners who purchased single-family homes from us (Marbella Lakes) when we opened last year have equity of over $20,000 in many cases depending on the lot they purchased. That’s about a 6% to 10% increase in value in a little over a year.” Not too shabby during a time when other home values have plummeted twice that much. As a Realtor and Broker in Naples for over eighteen years, I see even further increases in value on the horizon. Once the rest of the market begins to increase, Marbella Lakes owners should see their home values increase exponentially. With zero foreclosures/short sales and lots of increasing comparable sales, this is a no-brainer for someone who wants the security of a home that is steadily rising in value. Even if you don’t care to buy new, why would you buy a short sale or foreclosure elsewhere when the house next door could end up selling for less than you bought for six months from now. At Marbella Lakes this is not an issue. Location – West of I-75 and within six to seven minutes of Naples beaches and shopping. Value – New homes with many extras including granite, pavers and alarm systems to name a few. Zero Foreclosures / Short Sales – There simply are none in this new community. Low Rentals – Purchases by end users or second home buyers rather than investors. Quality – The builder has his pick of the best of the best contractors who “feel lucky” to work. Price – Developer purchased the land at foreclosure which allows home sales at rock bottom prices. When clients are in the market for Naples homes under $500,000. 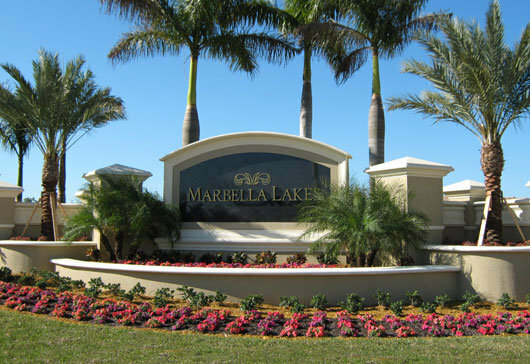 Marbella Lakes is one of the primary developments I show them. 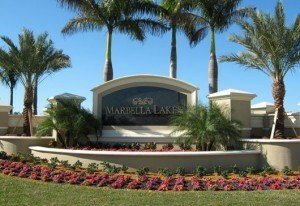 Marbella Lakes prices range from $199,900 to $469,900. After showing clients real estate all over Naples, 90% of the time we will end up returning to Marbella Lakes to purchase their new home. Unless they are golfers or looking for a high-rise condo closer to the beach, it doesn’t get any better. As a Naples Realtor and 30+ year resident of Naples, I list and sell Marbella Lakes homes for sale (already built). I also help my clients get the best deals on building a new home and assist them to make sure everything is completed right and on time during the construction process. There are several discounts and incentives available at Marbella Lakes that I can help you take advantage of. These incentives can help you save $5,000, or more, on the purchase of a new home at Marbella Lakes. Good to see real expertise on display. Your contribution is most welcmoe. I was looking for more information on your subject and found your blog. I really think you have a nice looking blog. It has a nice design and layout. The content is exceptional and that is really the most important. I have added you to my google reader and look forward to reading more. It is impressive. I found your blog because I wanted more information on your expertise. I run a blog and I am looking for good content to link to for future posts. I like you site so I am adding you to my google reader. This is great. I have been looking all over the web and finally found good content. I am adding you to my google reader so I can keep up to date with your content. Looks like an awesome community! I currently live in NJ and am looking for a winter home. How do I find out more info? Is there a brochure you can send?